Torco TR-5 Synthetic Blend Motor Oils are specially formulated for high performance and street engines to provide highest engine protection and power output. The unique blend of synthetic and hydro processed petroleum base stocks provides exceptional thermal stability and better ring seal capabilities under severe conditions. 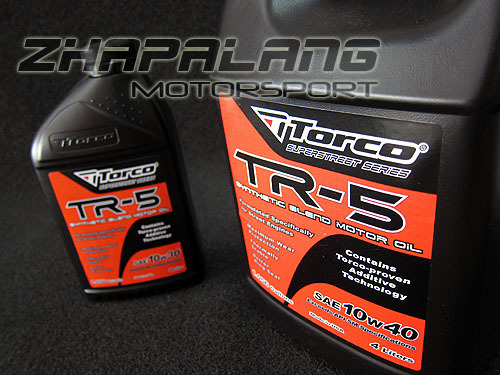 TR-5 incorporates a unique combination of performance additive and polymer designed to reduce wear, eliminate deposits and maintain optimum oil pressure for better engine performance.